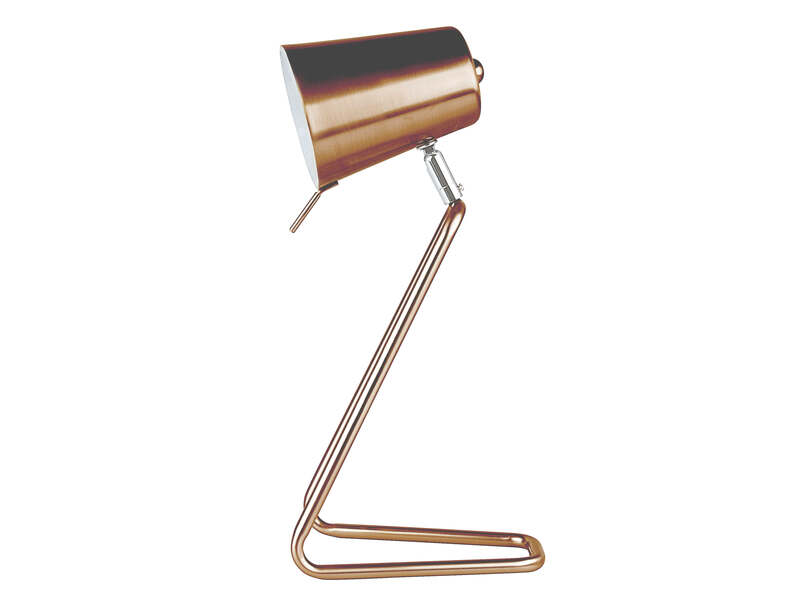 Z is a simple well balanced table lamp in copper/white inside shade from Leitmotiv. Size: H. 35cm, W. 16cm. Requires. 1x E14 Bulb, Max. 25W. Ross & Brown in Surrey, United Kingdom.